Dress up your 3D comic heads with a variety of outfits and accessories. Play around with lots of dramatic facial expressions and motions. 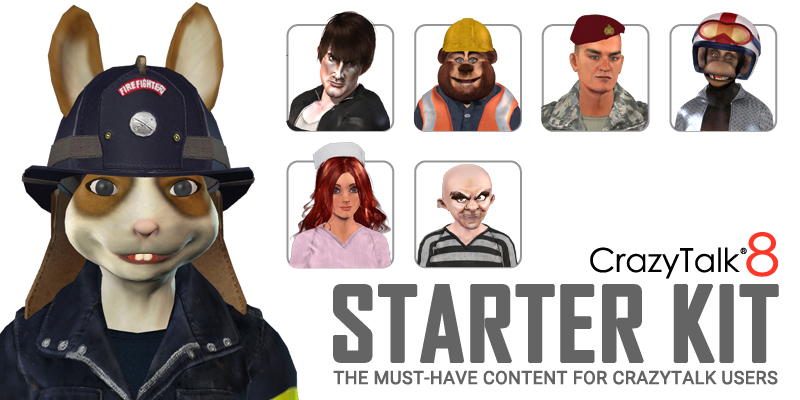 Get the full collection of the CrazyTalk Stylized Avatar series at the best price!